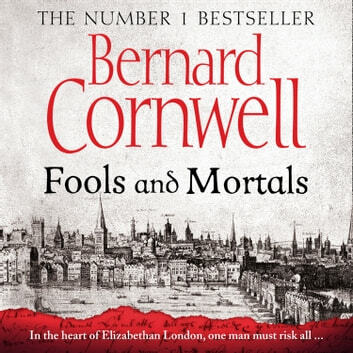 A dramatic new departure for international bestselling author Bernard Cornwell, FOOLS AND MORTALS takes us into the heart of the Elizabethan era, long one of his favourite periods of British history. ‘With all the vivid history that is his trademark, Bernard Cornwell transports the readers to the playhouses, backstreets and palaces of Shakespeare's London with added depth and compassion’ Philippa Gregory In the heart of Elizabethan England, young Richard Shakespeare dreams of a glittering career in the London playhouses, dominated by his older brother, William. But as a penniless actor with a silver tongue, Richard’s onetime gratitude begins to sour, as does his family loyalty. So it is that Richard falls under suspicion when a priceless manuscript goes missing, forcing him into a high-stakes game of duplicity and betrayal, and through the darkest alleyways of the city. 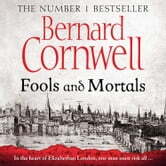 In this richly portrayed tour de force, Fools and Mortals takes you among the streets and palaces, scandals and rivalries, and lets you stand side-by-side with the men and women of Bernard Cornwell’s masterful Elizabethan London.